Pull through braids are the kind of hairstyle that make people stop and do a double take. With their intricate design, and full voluminous look, pull through braids are always a showstopper. Perfect for both casual and formal occasions, these braids are not only versatile but super simple to do. We've collected 8 stunning pull through braid styles that you can try yourself, so check them out below. This simple look is the perfect way to showcase the intricate look of the pull through braid without much effort. Just tie your hair into a ponytail, do a pull through braid, and voilà, you have this pretty hairstyle. Pro tip: add slight waves to loose pieces of hair at your hairline, which will frame your face and make this hairstyle look more polished. This hairstyle is really fun and would be perfect for something like a music festival. Who says pigtails are just for little kids? 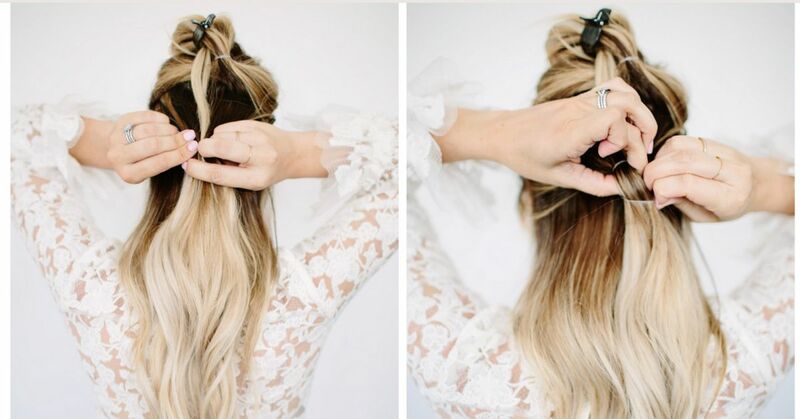 To make this hairstyle look extra social media worthy, make sure you take a section of hair from your pigtail and wrap it around your hair elastic so that it is no longer visible. Check out the video below to see exactly how this is done. 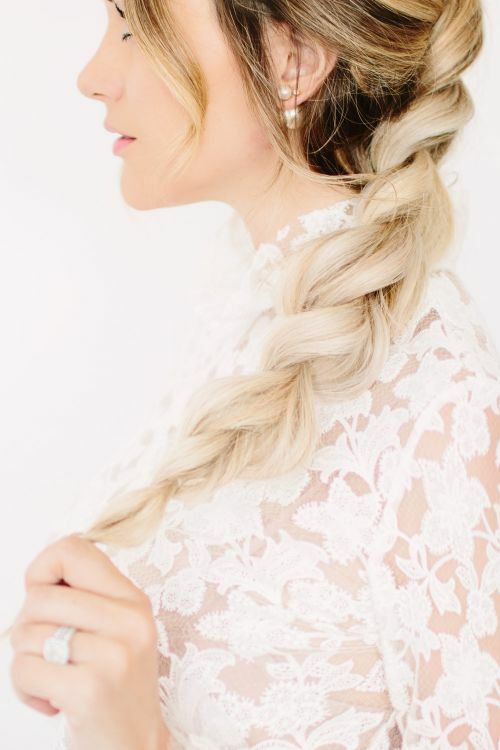 This crown-like braid is super romantic and pretty. The key to this hairstyle is really making the braid look voluminous. To do this, make sure to pull at the braid so it gains a fuller look. To finish off the whole look, add waves to the rest of the hair. This look is super sleek and polished, perfect for a more formal event. The key to this look is to make sure everything is really smooth, so brushing out each section as you go along is very important. Making sure everything you have already done stays in place as you work your way down the pull through braid is very important too. Check out the video below to see how to properly add your hair elastics so you really nail this elegant look. This braid is thick and voluminous and really makes a statement since it combines two different types of intricate braids. Since all the hair is slicked back and pulled into this braid, it mimics a faux mohawk style, giving the overall hairstyle an edgy and cool look. If the large and prominent pull through braids are too over the top for your taste, this shorter version of the pull through braid may be for you! This style is a great way to pull back the hair from your face (think: in the hot summer weather) while still looking cute. This pull through braid is so elegant and pretty and could work for either a casual or a formal occasion. To dress it up, consider adding small decorative pins throughout the braid. Pro tip: make sure to tease your hair to give the crown of your hair volume before beginning on the braid.This step will add to the overall look of the hairstyle. Love the pull through braid look but have short locks? No worries, you can still rock this pull through braid trend! Check out this fun and edgy tutorial below to see how you can achieve a pull through braid on short hair. Add some whimsy to your weekend look with these fancy braided pigtails. Whether you're young or young at heart, these cute buns will make you smile. A bun doesn't have to be boring. Accent it with a small braid to add flair to this quick style.